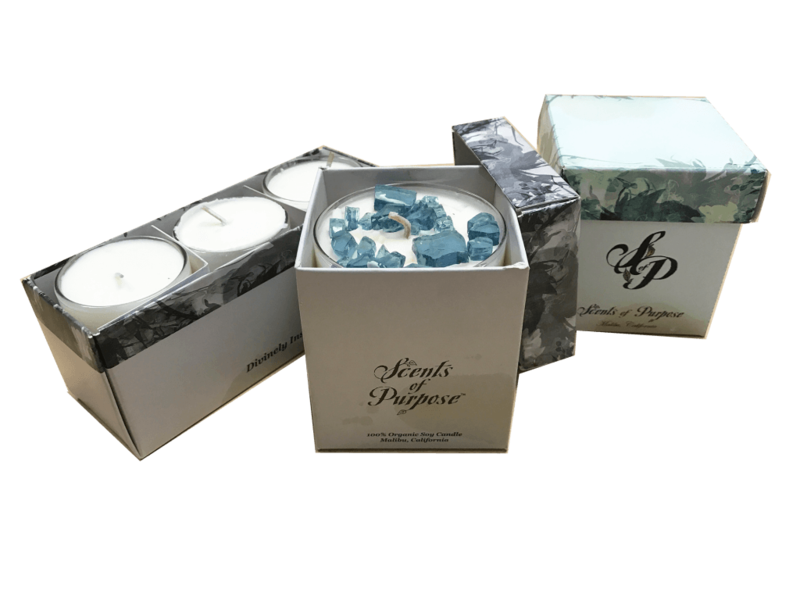 Design and create your very own custom printed candle boxes for your candle products right here at Business Image Printing. Having worked with hundreds of clients in this very field we know exactly what it takes to make custom printed candle boxes that can adequately reflect your personal flair in addition to mirroring the style and look of the actual product itself. With our high-quality resources at hand we can virtually create anything you can imagine with next to no limits at all on your creativity in the process. With the skill and experience of our staff alongside your creative input we can help make custom packaging that fits exactly to your specifications and personal customization choices. In addition to having complete creative space in the initial design of your custom printed candle box we also offer a variety of special features such as die cut windows for customers to view your product beforehand as well as embossing techniques to stamp out a unique design onto the packaging. In any case, with all these tools and options at your disposal you can create custom packaging made specifically to match your vision and nobody else’s. Our team here at Business Image Printing is always here to help, so if you have any concerns or issues our top-notch customer service and consultation is yours to use. Simply give us your creative ideas and any other design specifications and we can start working right away on your custom printed candle boxes. For more information regarding any special additional features such as spot UV coating, hot stamp foiling, or embossing, feel free to contact us for more details.